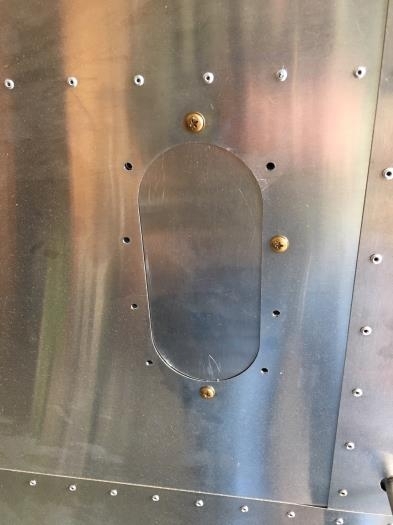 Ever since I finished the remaining wing, I kept meaning to add nutplates to the inspection cover; it's rapidly coming into that time of the year when stuff will be fliying around and making nests, so I wanted to get this hole covered. Up-drilled the predrilled holes in the ocver, cleco'd nutplates into position, then drilled and riveted then into position. Just time-consuming; not difficult.